Citrus, the long-hailed king of Florida agriculture, has hit some hard times with the effects of citrus greening. 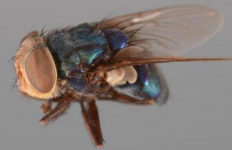 Caused by the Asian citrus psyllid, a bug that could fit on your fingertip, greening has destroyed acres upon acres of Florida citrus, leaving farmers feeling gutted. Citrus continues to have a $10 billion-plus economic impact in the Sunshine State and supports more than 60,000 jobs, according to the state’s Department of Agriculture and Consumer Services. Yet U.S. production of oranges is forecast to be down about 1 million tons for 2015-16, according to a January report from the U.S. Department of Agriculture (USDA). 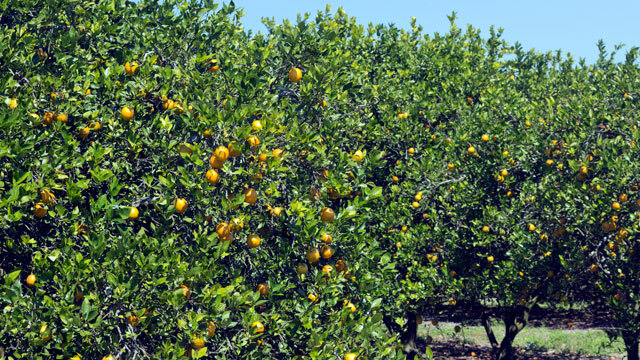 The USDA attributes the bulk of the decline to the effects of citrus greening in Florida. Production of orange juice in the U.S.—much of which starts from Florida oranges—is also forecast to be down by 25 percent due to lower yields in the state, according to the same report. With all the dour numbers, longtime citrus growers are wondering what their next steps should be—and some are considering if crops beyond citrus are the answer. Florida Olive Council President Michael O’Hara Garcia and Florida olive grower Don Mueller at Mueller’s grove near Marianna. Photo Credit: Barbara R. Klein. 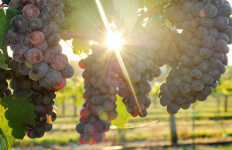 There are currently 400 acres of olives in Florida and 50 olive growers, a number that expands each year, Garcia said. 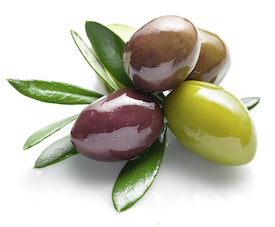 California is the country’s largest olive producer, although the vast majority of the olives and olive oil consumed in the U.S. is imported. Still, there’s a definite market for olives as consumption increases, and citrus growers may be the right group to help fill the niche, Garcia said. “The citrus business struggles with disease and foreign competition. Olives are a grove crop like citrus, but more research is needed to develop the right variety, like the University of Florida-Institute of Food and Agriculture Sciences (IFAS) did with blueberries and citrus,” he said. Garcia shares examples of citrus growers who are trying out several olive trees to see what bears fruit. One such example is Elliott Roberts of Roberts Groves in Ona, who is trying out a few groves as a hobby. “I’m in citrus, and it’s not fun anymore. I got half a dozen olive trees to see what they’ll do,” he said. Roberts got the trees about five years ago and said care for the trees themselves is similar to that of an orange tree. Although Roberts enjoys the olive trees, he doesn’t see himself becoming a part of the commercial olive market, even though citrus greening recently affected 10 of his acres, causing him to have to replant. “I’m too old to start over,” he said. Like Garcia, Roberts thinks Florida growers need to settle on the right kind of olive that will thrive in the state’s climate. “It’ll take some time,” Roberts said. On the upside, Garcia said, olives grow in poor soil as long as it drains; there are even olives growing on recovered phosphate strip-mine land near Bartow. On the other end of the spectrum, citrus grower Richard Williams of DeLeon Springs is into olives in a big way. 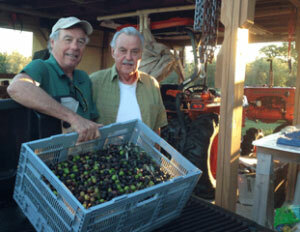 He started Florida Olive Systems to evaluate a mechanized model of high-density olive growing for olive oil production. His business also distributes Olint olive trees and helps farmers evaluate if growing the fruit is viable in various areas of the state. Williams referred a reporter who calls him to look online for more information about him, as he was busy in the field with his trees. A February report from UF said that Williams has visited Texas, Georgia, and California to get a better handle on the growth of high-density olives. As growers think beyond citrus, other crops are now in the mix, including peaches and blueberries. Peaches have slowly crept into the Florida agriculture mix, although the state’s Department of Agriculture does not have any detailed statistics. 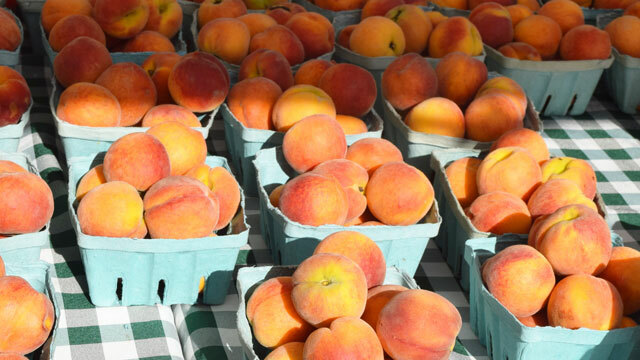 However, the USDA reports that the state has more than 1,200 acres of peaches. Since UF helped develop varieties that grow well in the state, more growers—both citrus and otherwise—have considered trying them out. Still—“There aren’t droves of citrus growers trying this. 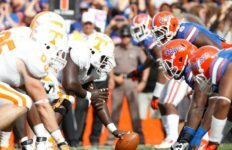 It’s not a majority,” said Chris Oswalt, a Bartow-based citrus agent for UF/IFAS, Polk and Hillsborough counties. One hurdle that Florida peaches will have to overcome is marketing, Oswalt said. He’s seen advertising for better-known “Georgia peaches” on the side of the road and when he stopped to take a look, he recognized the smaller sized fruit as Florida’s own variety. Peaches also need a little more care to grow than some farmers originally thought, he added. Florida farmers (some citrus growers, some not) are delving into peaches and blueberries. 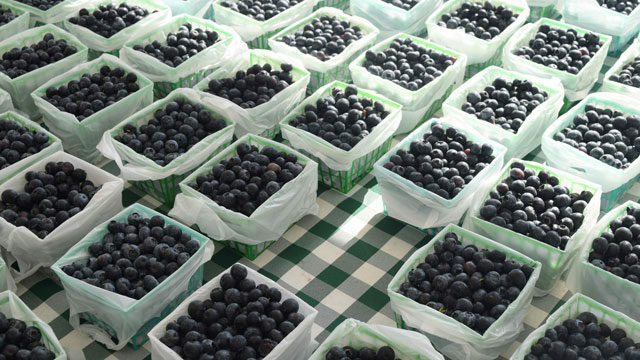 Another fruit on Florida farmers’ minds is blueberries. Blueberry sales in the state have shot up from $47.2 million in 2010 to $75.6 million in 2014, the latter of which is just slightly lower than the 2013 high of $76.4 million. Blueberries do not grow in Florida’s sandy soil, and growers have to buy special soil for them. However, the timing of the Florida blueberry harvest is favorable, as the fruit is ready before those in Georgia, the Carolinas, and states further north. Even pomegranates have gotten into the mix, with several citrus farmers trying them out, said Cindy Weinstein of the Florida Pomegranate Association in Zolfo Springs. Other growers are thinking beyond fruit. John Soles of Haines City Citrus Packinghouse stepped outside of the confines of citrus to convert 10 acres of an old organic tangerine grove into an area for chickens to produce eggs. He sells the eggs to Global Organic of Sarasota, which distributes them throughout the Southeast. Ultimately, farmers will want to settle on the crops or ideas that have the best economic advantages, Oswalt said. Growers and agriculture researchers are looking at yet even more alternatives as they think about the future. 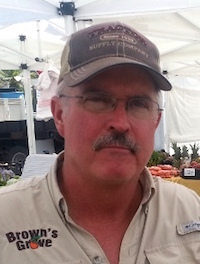 Tim Brown of Brown’s Grove in Sarasota supports peach and blueberry growers in the state when he buys their fruit and sells it at his various farmers market stands in Sarasota and at a static location in Parrish. He’s seen more and more farmers try blueberries and peaches, but he’s glad he hasn’t tried it himself, even though the citrus business has taken a hit. He said timing the fruit right to be profitable is tricky. So, he’s been content to add a few more vegetables to his mix and another 20 acres of citrus. Yes, citrus. Brown’s Grove owner Tim Brown. Photo Credit: Central Sarasota Farmers Market. “People look at me like I’m crazy when I tell them,” he said. Yet he believes there are a few more tools in the toolbox now to help with citrus greening, and focusing on younger trees helps to keep citrus greening away. Another alternative under experimentation is hops, said Zhanao Deng, an IFAS professor of environmental horticulture based at the Gulf Coast Research and Education Center in Balm. “We want to see if we can find varieties that will grow well in Florida,” he said. If it works out, the varieties may one day be used by the many microbreweries in the state. For now, most hops in the U.S. are grown in Washington, Oregon, and Idaho. If there’s any good news for Florida citrus growers and those who love them, Florida Citrus Mutual of Lakeland reported last week that the USDA increased its estimate of the 2015-16 orange crop, forecasting that growers will produce 81.1 million boxes, a 7 percent increase. 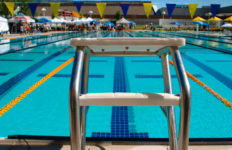 This is the third consecutive month the department has raised its estimate. “We continue to face many challenges as an industry, but the fact that the estimate keeps increasing is a silver lining,” said Florida Citrus Mutual CEO Michael W. Sparks in a press statement. Photo Credit: Top image and peach photo courtesy of Vanessa Caceres (both photos were taken at Brown’s Grove of Sarasota during the Sarasota Farmers Market).